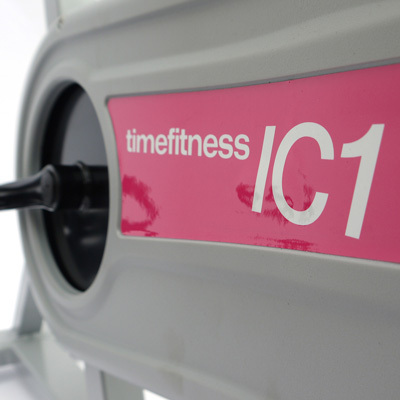 For any spin bike enthusiast the launch of the Time Fitness IC1 Indoor Cycle has been a long time coming. Time Fitness is a new fitness equipment brand and for the launch of their very first piece of equipment they have delivered in more ways than you could imagine: a low price at £199, an extensive feature set and to top it off the spin bike is aesthetically pleasing to the eye. 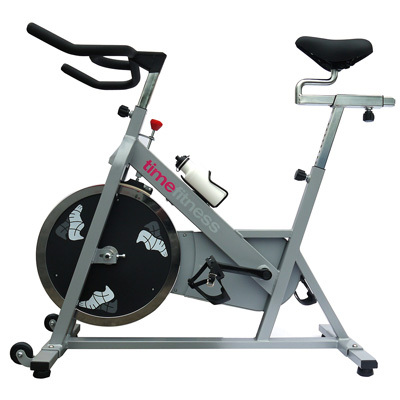 The Time Fitness IC1 Indoor Cycle is a compact and durable entry-level spin bike with many features that would normally only be found in more expensive indoor cycles. The 14kg flywheel on the IC1 helps to create momentum and inertia as you exercise which replicates the motion and feel of traditional cycling. A strong and durable steel frame is used to ensure the IC1 stays rigid and won't let you down when you start pushing the tempo during hard training sessions. An extra wide cushioned seat is used to ensure you stay comfortable while exercising. The seat is fully adjustable: 20 notches for up and down; 10 notches for fore and aft. 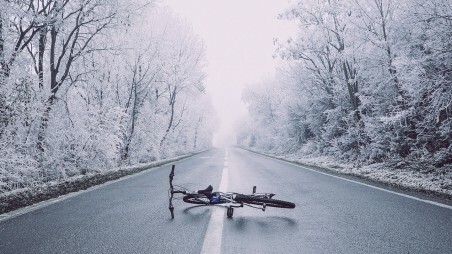 Foam grips cover the ergonomically designed handle bars which add comfort and security when you exercise. The handlebars are also adjustable to accommodate cyclists of all sizes and abilities with 6 different height positions. The easy to use resistance knob allows users to increase or decrease the levels of resistance, which in turn creates a harder or easier workout. Simply reach forward and turn the resistance knob to make your workout easier or harder. For easy storage and maneuverability the IC1 has 2 wheels on the front of the frame. 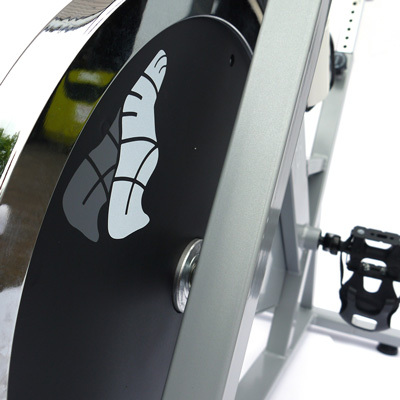 The wheels allow you to easily move the spin bike to the corner of the room or into an empty cupboard after your training session. 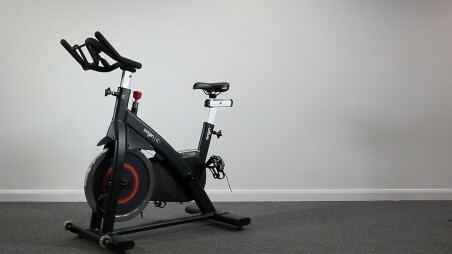 The Time Fitness IC1 Indoor Cycle is suitable for novices and group cyclists looking to train more at home. When the IC1 is compared to other spin bikes it offers superb value for money, especially at £199. 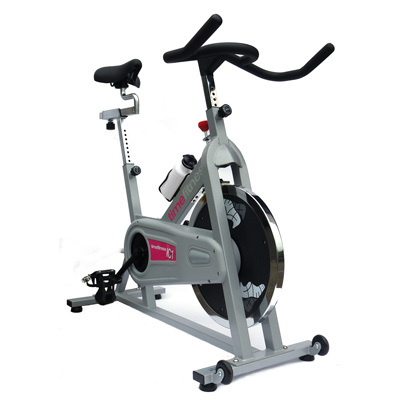 Bring the spin class home with this great value indoor cycle that is packed with features and options. This entry was posted in Just Launched and tagged spin bike, indoor cycle on 4th July, 2013 by Craig Fleming.